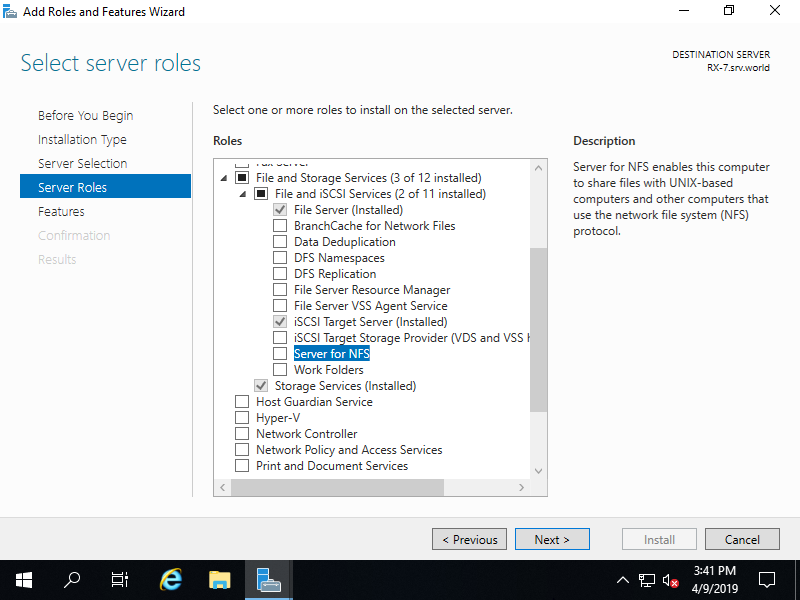 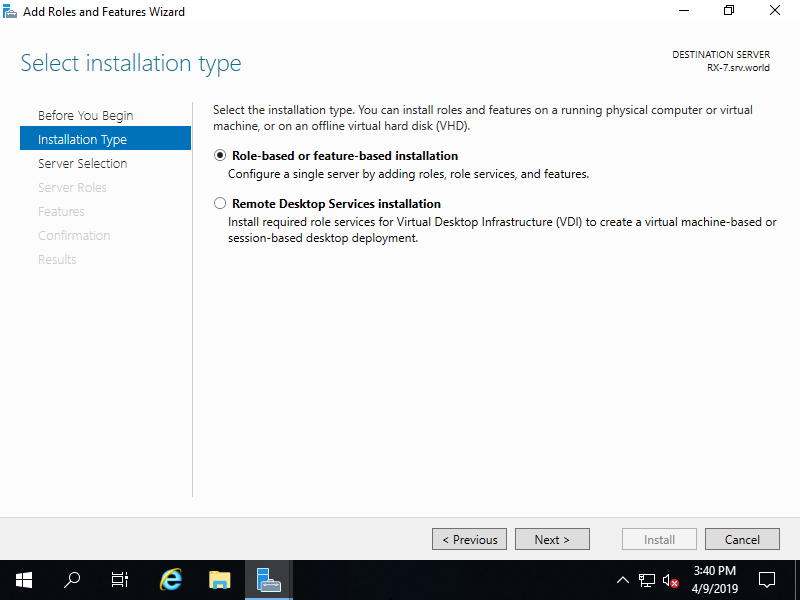 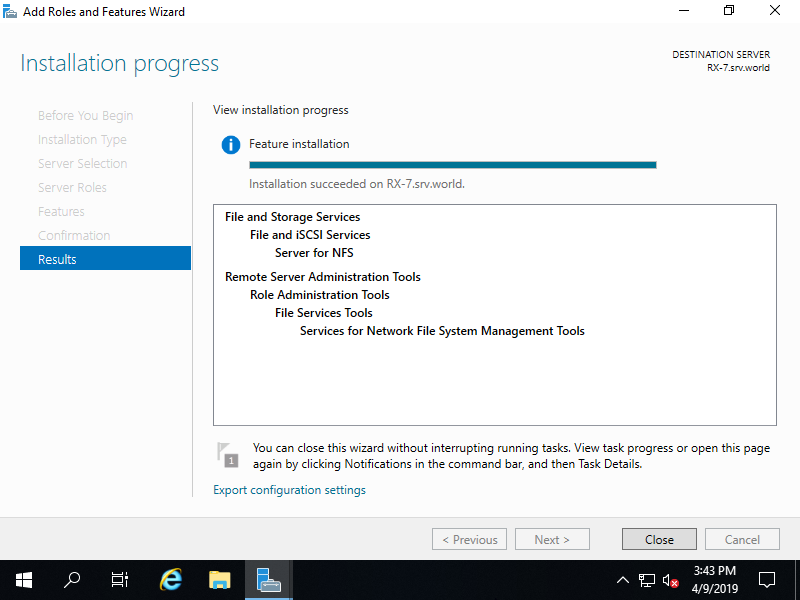 Install NFS Server to share files and folders. 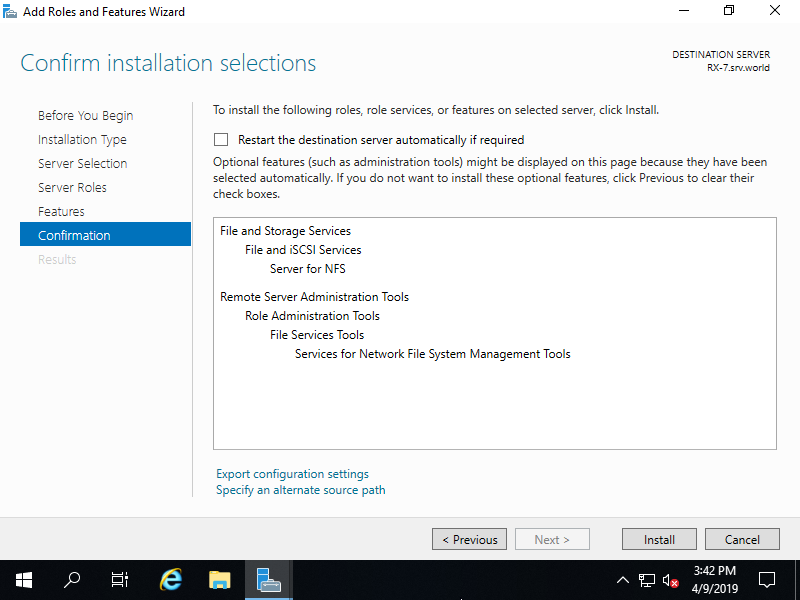 Run PowerShell with Admin Privilege and Install NFS Server. Check a box [Server for NFS]. 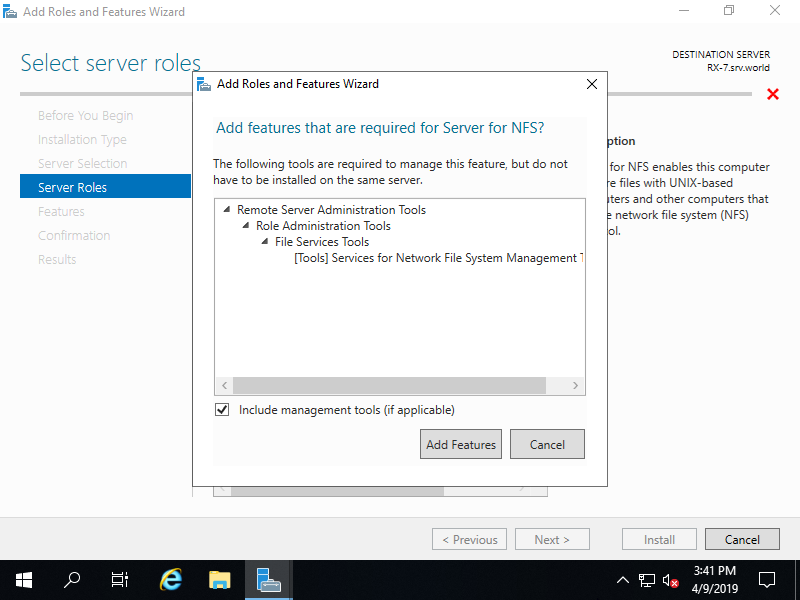 Addtional features are required to add NFS Server. Click [Add Features] button and proceed Next.